As you are aware, today, 18th February 2016, has been a polling day for Presidential and Parliamentary Elections. Polling started on time, in various parts of the country, and polling stations have reported a smooth start. 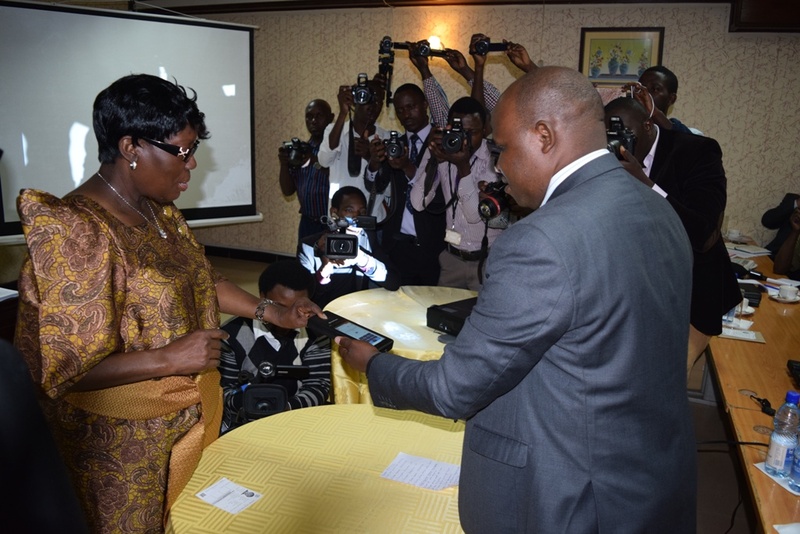 There was a delay in delivery of polling materials in some parts of Wakiso District and Kampala Capital City. The Electoral Commission regretted the delay and extended an apology to the voters in the affected stations. However, polling materials were later delivered to all these places and polling commenced in most of the places. Today, 18th February 2016, is polling day for Presidential and Parliamentary Elections. Polling has started on time, in various parts of the country, and polling stations have reported a smooth start. However, there has been a delay in delivery of polling materials in some parts of Wakiso District and Kampala Capital City. The Electoral Commission regrets the delay. The polling materials have now been delivered to all these places and polling has commenced in most of the places. Campaign meetings/rallies organized by candidates contesting for Presidential, Parliamentary and Local Government Councils Elections have been going on in various electoral areas across the country. Campaigns have largely been peaceful. Campaign meetings/rallies organized by candidates contesting for Presidential, Parliamentary and Local Government Councils Elections are going on in various electoral areas across the country. The Electoral Commission appreciates the peaceful manner in which the campaign meetings have been held. Campaign meetings/rallies organized by candidates contesting for Presidential, Parliamentary and Local Government Councils Elections are going on in various electoral areas across the country. Campaigns have largely been peaceful. As you are aware, a National Voters’ Register is a cornerstone for credible election. Campaign meetings/rallies organized by candidates contesting for Presidential, Parliamentary and Local Government Councils Elections are going on in various electoral areas across the country. The electorate is encouraged to attend the campaign meetings/rallies and listen to the various candidates so that they can make an informed choice on polling day. The Electoral Commission reminds all candidates for Parliamentary Elections that no campaign meetings will be allowed across the country during the period 15th – 23rd December 2015. This period was blocked in order to enable Members of Parliament attend to critical national matters. The suspension of campaigns from 15th December to 23rd December 2015 was communicated to all candidates, the public and security (Uganda Police) at the nominations and harmonisation of candidates’ meetings. Today, the Electoral Commission, in accordance with Section 18A of the Electoral Commission Act (as amended), will start the exercise of issuing a complete set of the photo-bearing National Voters’ Register, to each of the candidates contesting in the 2016 Presidential Elections. The National Voters’ Register bears the names of all the 15,277,196 registered voters, arranged alphabetically by surname, at each of the 28,010 polling stations in Uganda.